This Pedicure Trolley is a beautiful trolley to have in your salon. It makes a statement by its multi-tone linea design and will make your salon look sophisticated. 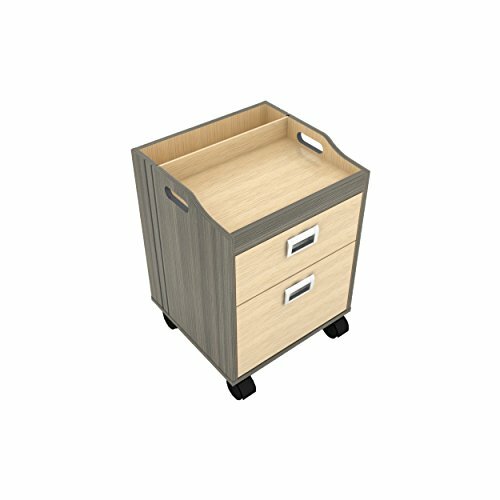 The Alera has two drawers for easy storage and sits four casters for easy transporting and also acetone resistant for little messes. Make a family and get the whole Alera set for your salon today. If you have any questions about this product by MAYAKOBA, contact us by completing and submitting the form below. If you are looking for a specif part number, please include it with your message. YogaToes GEMS: Gel Toe Stretcher & Separator - Instant Therapeutic Relief For Feet. Fight Bunions, Hammer Toes & More! Original YogaToes - Small Purple: Toe Stretcher & Separator. Fight Bunions, Hammer Toes, Foot Pain & More!